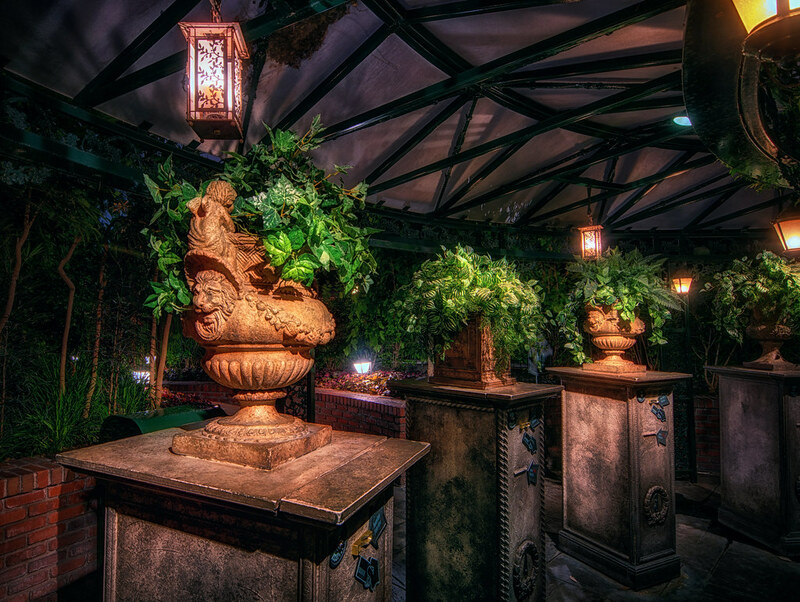 The fastpass area of the Haunted Mansion rarely sees the light of day for most of the year, which is perhaps to be expected for a place that is…..haunted. But it is yet more proof that even the least-noticed elements of the Haunted Mansion are every bit as beautiful as they are spooky. This entry was posted in Haunted Mansion and tagged fastpass, Haunted Mansion, night, spooky. Bookmark the permalink.